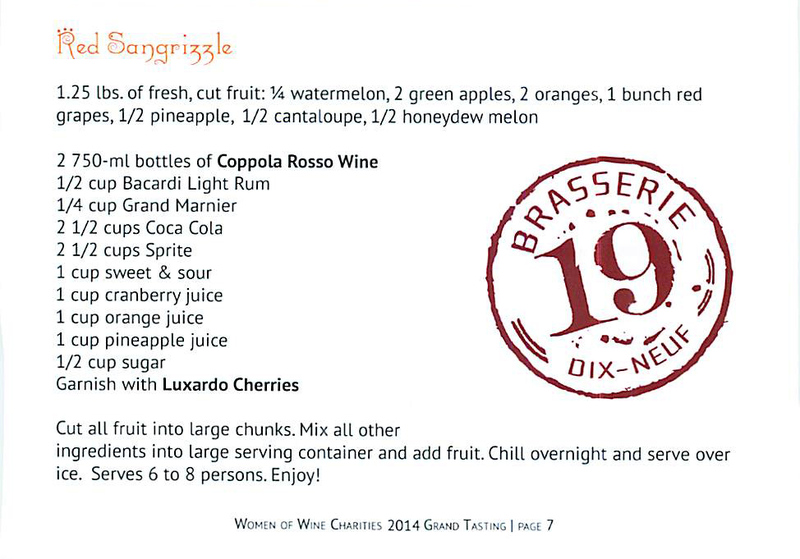 Sangria stands out as one of the all-time best get together drinks. 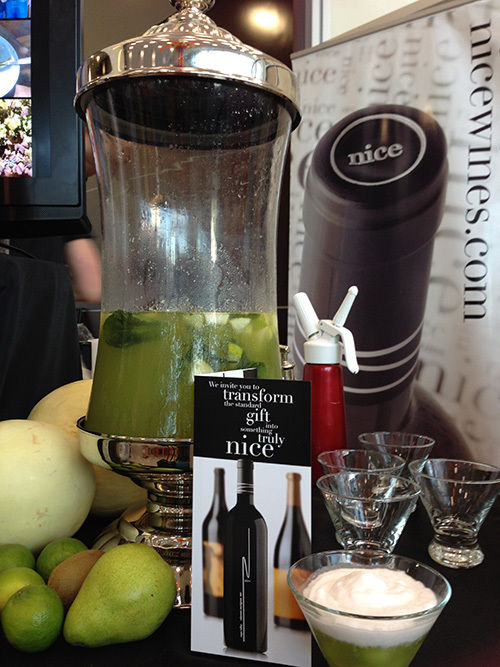 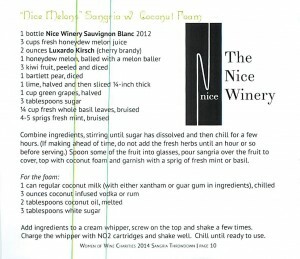 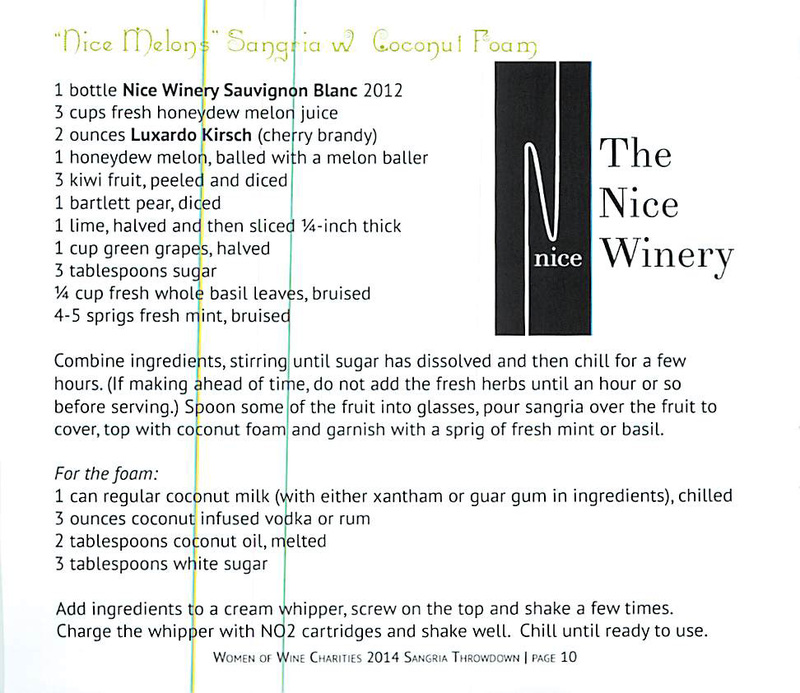 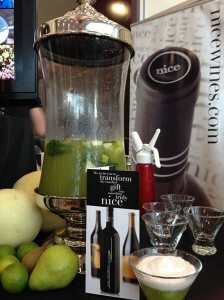 As it is wine based it is a great offering when entertaining that is sure to please almost everyone in its intensity. 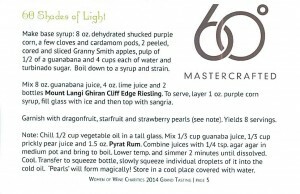 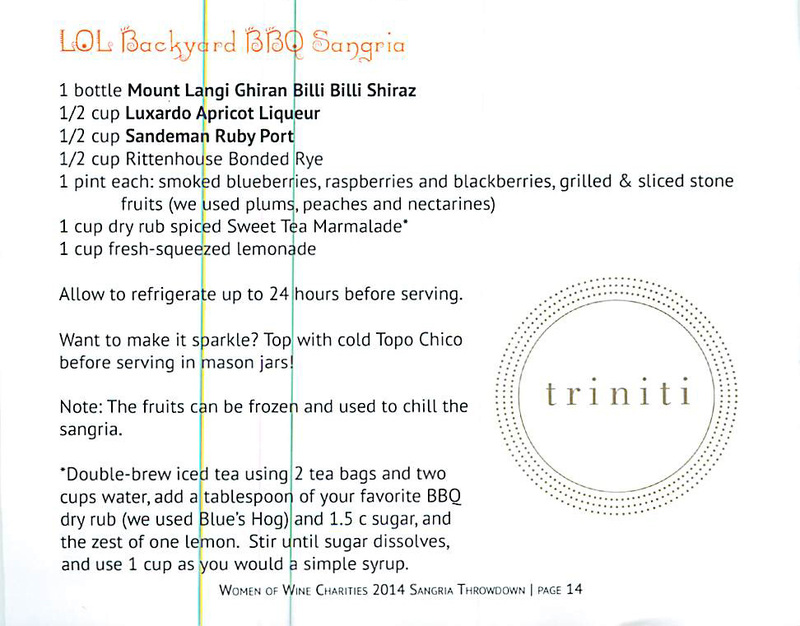 Like any great entertaining drink it can be made in advance to a wide assortment of recipes and guests can start basic for something light and refreshing. 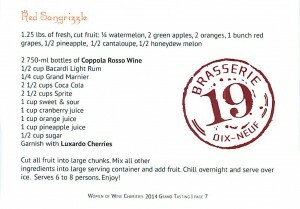 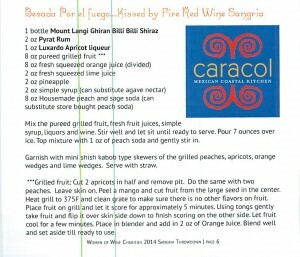 For those looking for something a bit more potent luckily sangria can easily kick it up a notch with fun additions like brandy or a liquor. 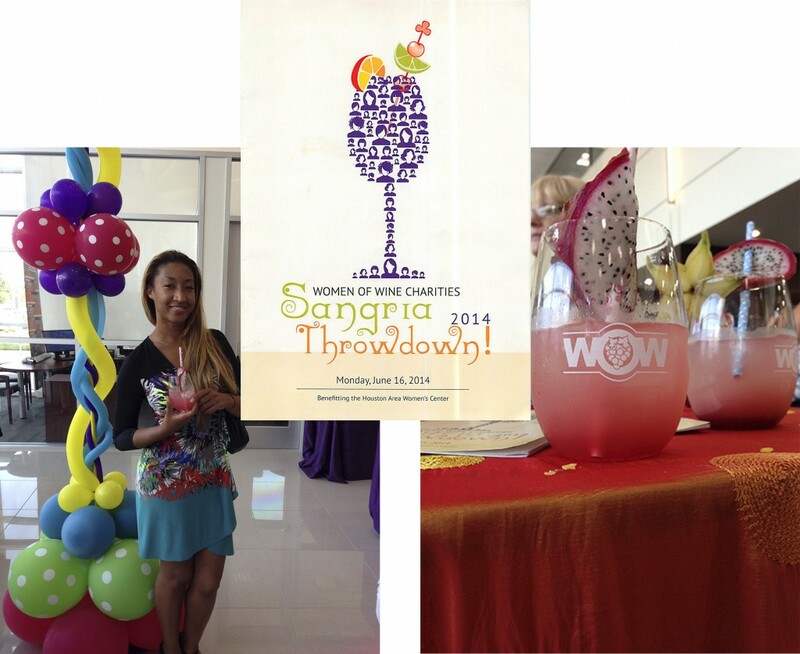 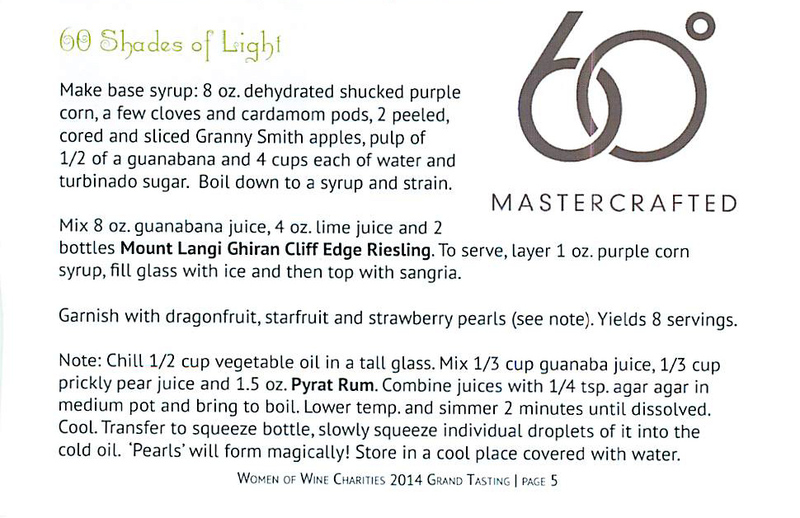 The Women of Wine Charities tapped into the fun of sangria in their 2014 Sangria Throwdown. 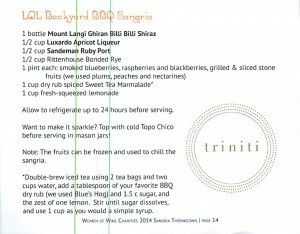 The long days of summer set the stage for some great times gatherings with friends and family and enjoying some great food, drinks and of course company and the Sangria Throwdown did not disappoint. 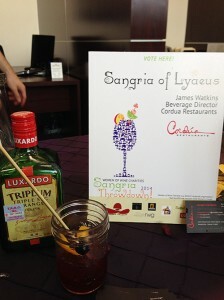 The Sangria Throwdown pulled creative genius at of some of the best restaurants and mixologists the city has to offer. 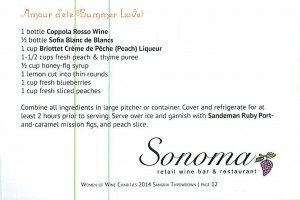 Pulling from the different juices and wines the competing teams reworked typical and unique ingredients to change everything that I thought I knew about Sangria. 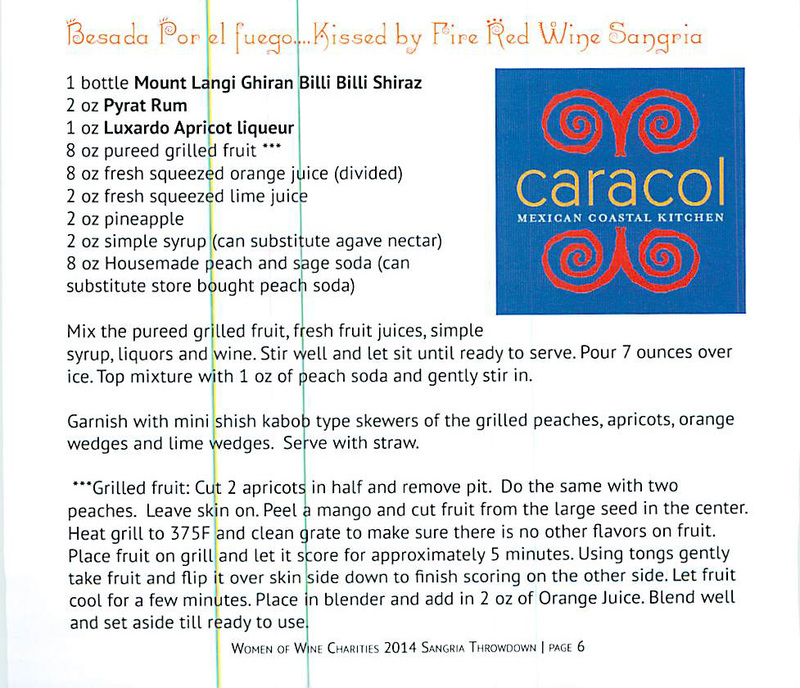 Each mastermind not only made a fabulous presentation but also shared the history and background of how they were inspired to rise to the sangria challenge. 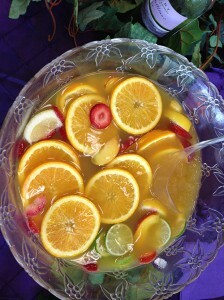 From whites to darks and everything in between take a look at recipes below that may inspire your own mixology madness. Best of all the festivities benefited a great cause, the Women of Wine Charities. 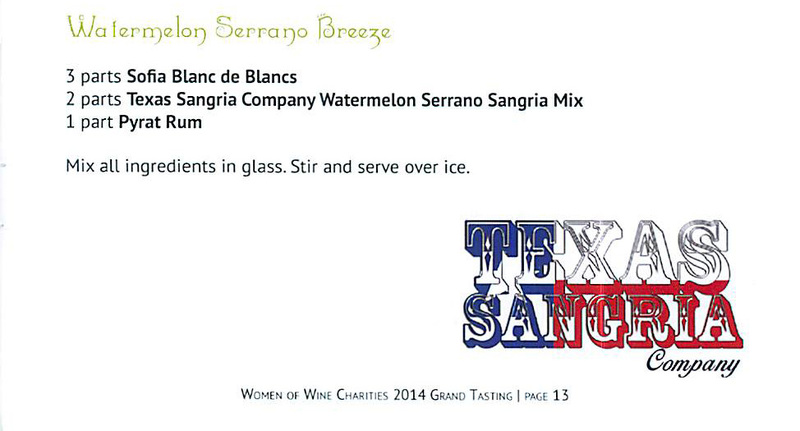 The Charities focus on partying with a purpose as they bring wine lovers together several times a year to raise money and awareness for the Houston Area Women’s Center. 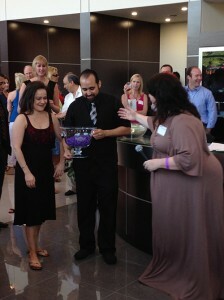 The Houston Area Women’s Center tackles addressing the needs of both women and children who are survivors of domestic and sexual violence on a daily basis. 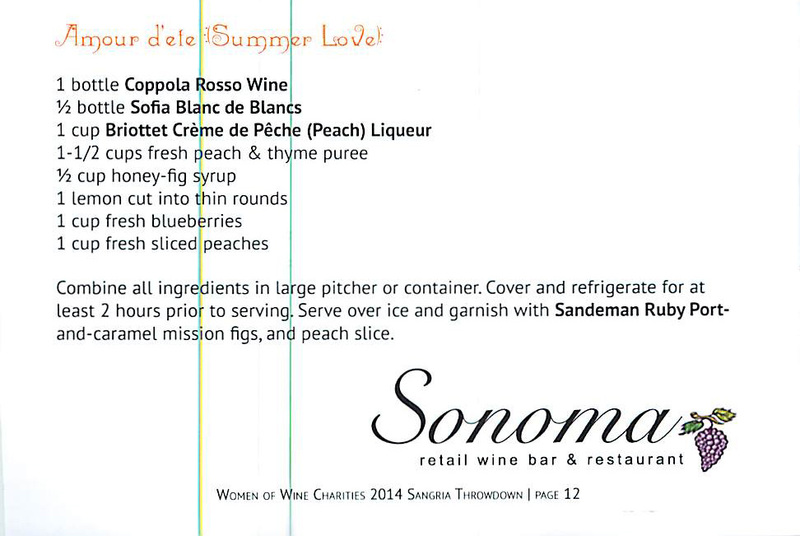 This driving force behind the Women of Wine Charities events like the Sangria Throwdown reinforces the energy of networking and comradely that give back to those in need.